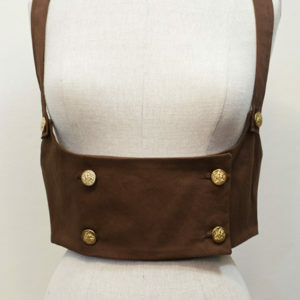 This underbust vest goes great with any outfit. 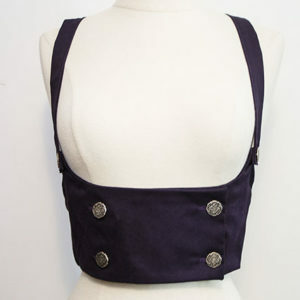 It is double breasted with gold patterned buttons down the front and connecting the straps. This vest is made of black cotton velveteen with full lining. Choose between silver or gold buttons. I can make any size to order. Please allow 4-6 weeks for production. Exact button design may vary based on availability.